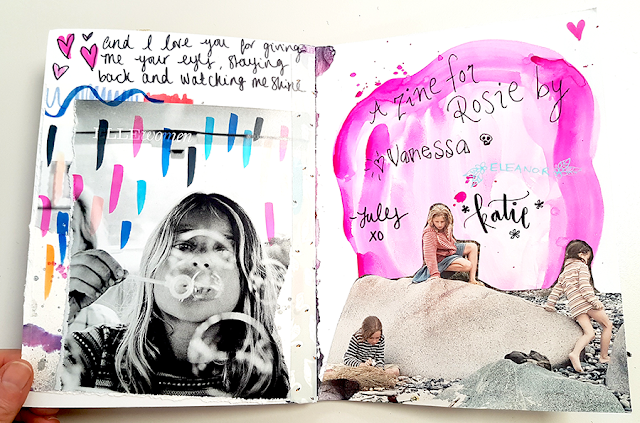 Our latest zine offering was for the super sweet and strong Rosie. Our theme was magical motherhood and the zine ending up being just beautiful! It was a difficult one for me to work on as I am not a mother myself and I know a few friends and loved ones who have lost their Mum's. My own Mum had cancer in recent years as well so it there was a lot swirling around my mind! I was trying to tap into these feelings when I was making. 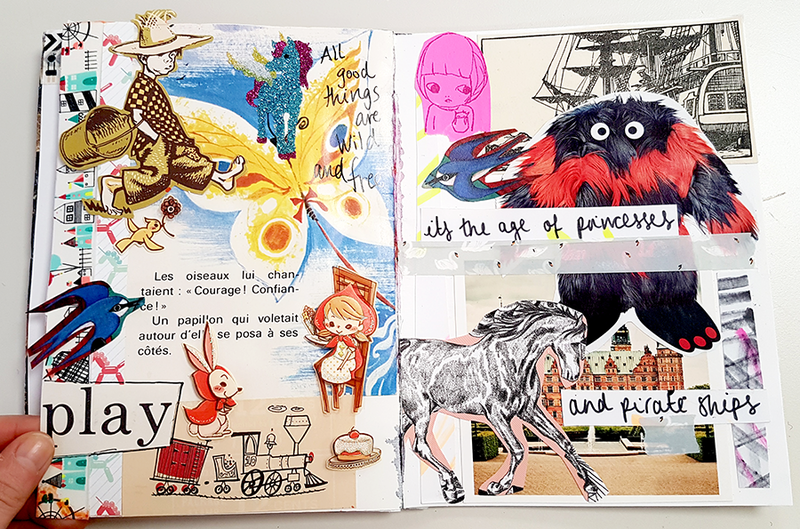 This page is obviously by Katie (and surely belongs in a children's book?! ), but I added the letters. I found this quote and thought it summed up where Rosie and her little girl are at the moment. 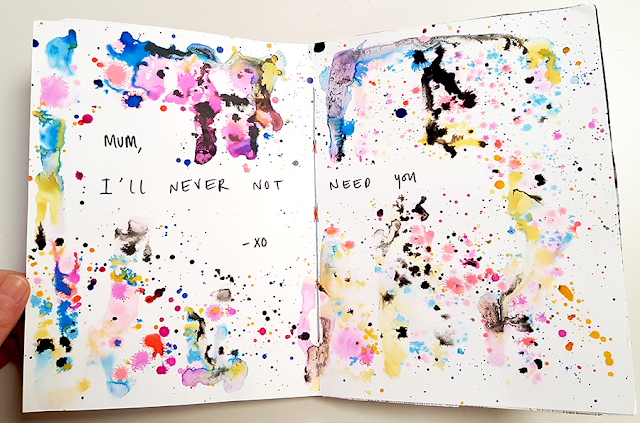 This was my first thought when my Mum was diagnosed with cancer and something I knew I wanted to put into the zine. Back to those swirling thoughts as well, expressed through ink. I think this is Vanessa's page on the left, my compliment to it on the right. I loved this childlike and fun collage. 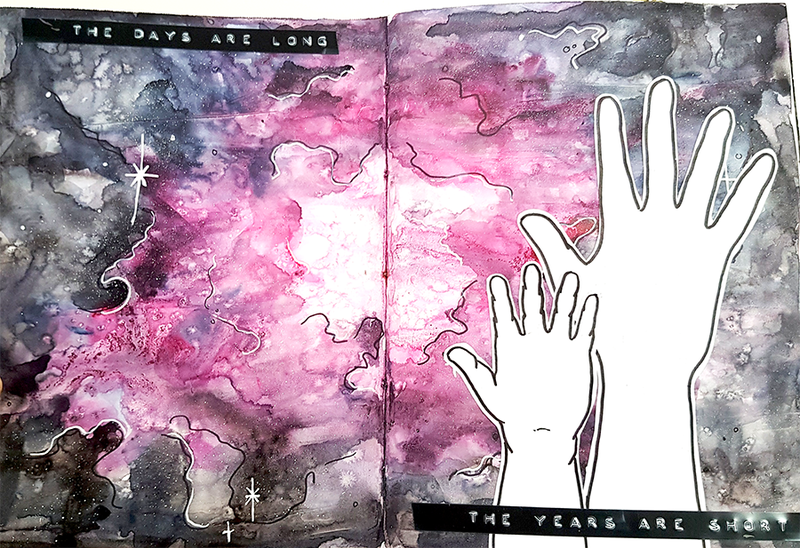 I used lyrics from Taylor Swift here as well as in the last page below! Our sign off sheet and my last T Swift inspired bit of collage! These unicorns were on the back cover when the zine arrived with me. I coloured them in and added the text, I did a bit of Instagram snooping and saw that this phrase was something special between Rosie and her daughter. And! 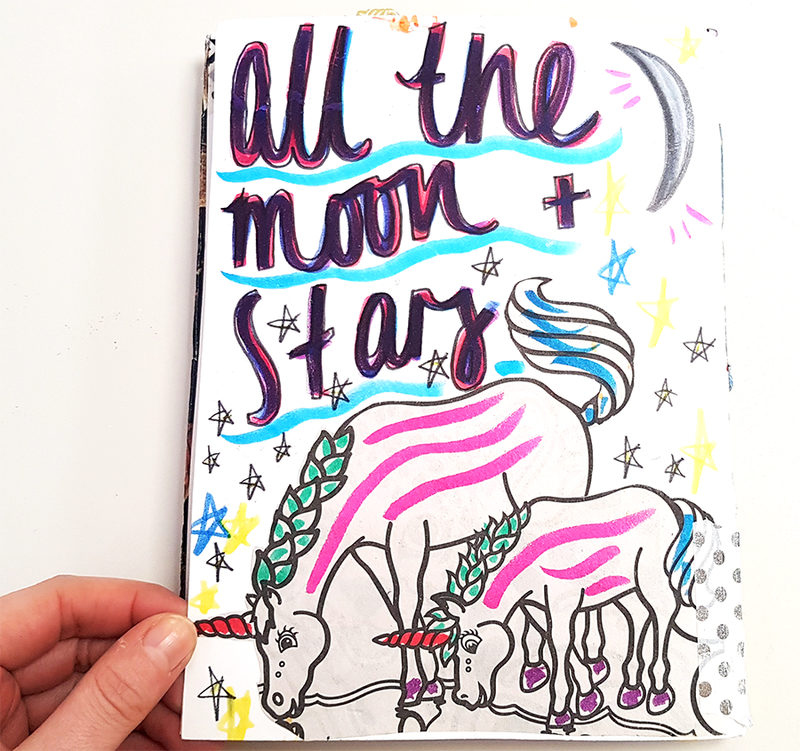 In case you missed it, the zine squad were featured on how she creates! A podcast about women and their creative stories. I blogged about the episode here and you can listen here.